What does it mean if your Star Sign is Capricorn? Earth sign; ruled by Saturn. → Click here to read your Capricorn horoscope! The mountain goat is the symbol for this sign because of the characteristic of the goat to climb higher and higher without losing his footing. Capricorn people are the type that are goal oriented and driven to succeed despite all odds. They will work long and hard hours toward a purposeful goal. Self-disciplined and successful, it is no wonder that some of the world’s greatest scientists, leaders, and teachers have been Capricorn. Achievement is everything to a Capricorn. For this reason they tend to take life very seriously and are not tolerant of those who do not. They are also very good at state’s craft engaging in mental parrying at a high level. They are natural born leaders, politicians, mathematicians, and diplomats. Capricorn people tend to guard their hearts closely and well. To get close to a Capricorn may take some time, but once achieved, well worth it. 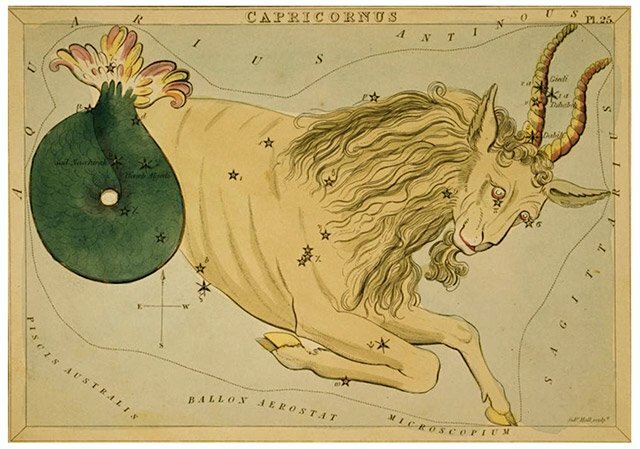 Upside: Capricorns are the superheroes when It comes to making realistic, logical decisions. Their ability to cut through the red tape and see the bottom line is what makes them a real asset to any relationship or occupation where teamwork is valued. Capricorn are family oriented, but will keep their distance if the family is perceived to be violent, harmful, or unfulfilling. Capricorn have a dry sense of humor and their sarcastic wit is only appreciated by those who find humor everywhere. Highly intellectual, good with numbers and analysis, this sign is not often loud, but they are most definitely the muscle and the power behind the very successful machine. Downside: Because they are so dedicated to the big picture and the minute details, they can seem dull to others, who don’t understand the active internal nature of the Capricorn. While seeming almost emotionless on the surface, the Capricorn’s mind is always running on overdrive. They can often seem selfish and stingy, keeping information to themselves, or strategically withholding information for their own gain. Often they can be the less imaginative of the signs and refuse to face the facts about a situation because it would signal that they were wrong about something (which they hate).